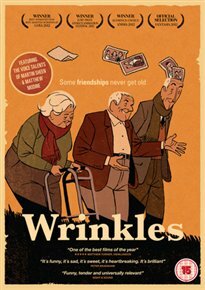 Animated film based on the comic book by Paco Roca set in a care home for the elderly. When Emilio arrives at the home he is in the early stages of Alzheimers and, many would suspect, approaching the end of his life. However, the residents of the home, led by the lively Miguel, are determined to protect Emilio from the hopeless fate that awaits those deemed in need of the ‘assisted care’ offered on the top floor of the institution. By approaching every new day with hope and an appetite for life, Emilio, Miguel and their friends endeavour to make the best of the time that remains to them. The English cast list for the film is headed by Martin Sheen and Matthew Modine.